This charming hotel is situated in Downtown/University. The establishment comprises a total of 67 snug accommodation units. This is not a pet-friendly establishment. 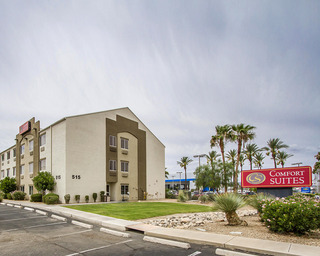 The hotel is conveniently close to the University of Arizona and a number of golf courses, including a variety of municipal and championship courses. There are restaurants and shops nearby. Tucson Botanical Gardens and Arizona Stadium are both very close to the hotel. Fully renovated in 2010, there are 60 rooms in total at this historical hotel. Guests are welcomed in the lobby with 24-hour reception and check-out services and a hotel safe. Food and drink are served in the bar and restaurant. This property offers guests all the comforts of home with complimentary wireless Internet access and small meeting rooms. 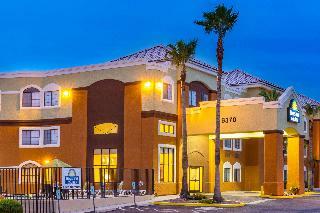 Additional amenities include gift shops/newsstands, barbecue grills and laundry facilities. Guest parking is complimentary. All guest rooms provide in-room safes and phones with voicemail, 32-inch LCD televisions with premium cable channels and DVD players. Complimentary wireless high-speed Internet access is provided. Additional amenities include a CD player, sofa bed and climate control. All are en suite with a bathtub. A kitchenette with microwave and tea and coffee making facilities also comes as standard. The resort has an outdoor swimming pool, a spa tub and a gym. Guests can also play pool/snooker. Both the midday and evening meals are served from various set menus. From Phoenix Metro Area take Interstate 10 East to Tucson. Exit on Speedway Boulevard, turn left and continue for approximately 4.8 km. The resort will be on the Northwest corner of Speedway Boulevard and Alvernon Way. On Jan 8, 2018 through Jan 14, 2018 the pool will be closed due to renovations. Please call the resort for more details. Nearest Bus / Metro Stop - 185.160 Km. Golf course - 4.000 Km. 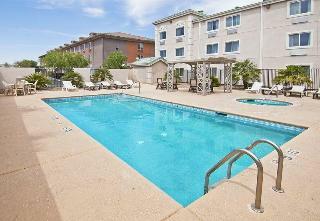 This hotel enjoys a great setting at the heart of Tucson. 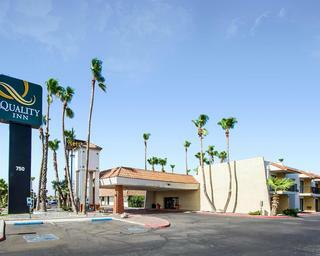 The hotel enjoys close proximity to Mike Jacob Sports Park, Quarry Pines Golf Club, Pima Prickly Park and Crooked Tree Golf Course. This wonderful hotel appeals to business and leisure travellers alike. The guest rooms are sublimely designed, featuring functional space and modern conveniences, for added comfort. Guests will be pleased by the many facilities and services that the hotel has to offer. The hotel provides complimentary wireless interest in public areas, allowing guests to keep in touch with work and home. Guests can enjoy a truly memorable stay at this sublime hotel. 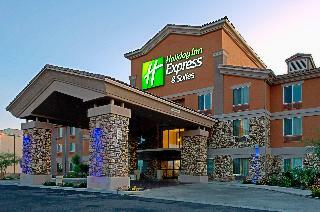 This charming hotel is in Tucson International Airport. 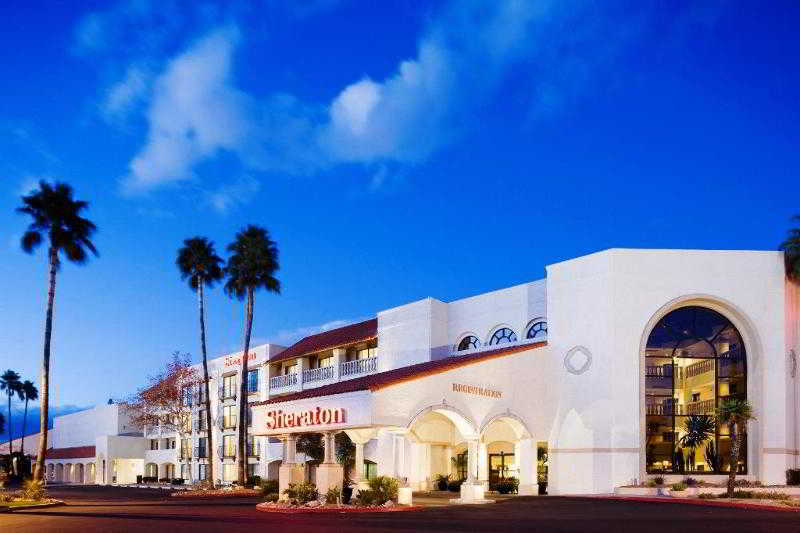 This hotel enjoys a prime setting at the heart of Tucson. The hotel is located close to a number of attractions in the area. Guests will find themselves within easy access of Sentinel Peak, Santa Cruz Church and El Tiradito Wishing Shrine. The hotel enjoys close proximity to the Jewish History Museum and the Museum of Contemporary Art. This elegant hotel enjoys a sophisticated design. The guest rooms offer comfort and style, in an elegant setting. Those travelling for work purposes will appreciate the hotel's business centre and meeting room. Guests can enjoy a delightful breakfast in the mornings, for a great start to the day. The hotel also offers a pool and fitness centre, for guests' leisure needs. 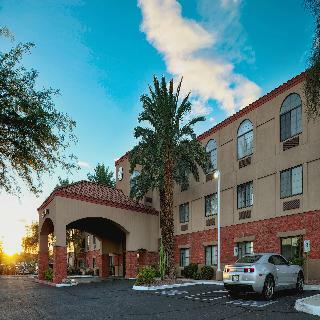 5 miles from the University of Arizona campus, this contemporary Sheraton hotel is adjacent to the Tucson Medical Center, 2 blocks from a shopping center, and 8 miles from downtown.